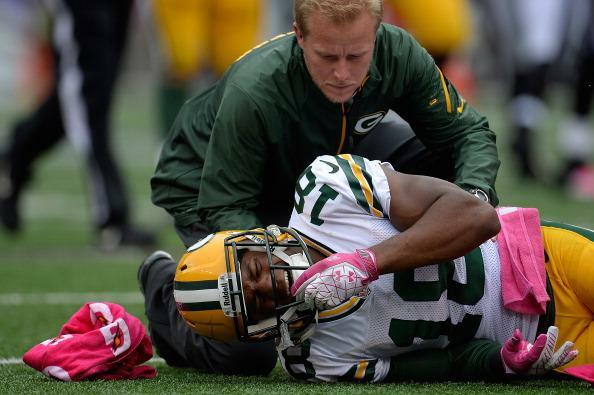 Randall Cobb suffered a fractured fibula Oct. 13. He is scheduled to return in Week 15. Lost in the chatter about the world’s most famous collarbone. Forgotten after the defense allowed the Lions to convert 9 of 12 third downs and the Bears to roll up 442 total yards — with a quarterback no less. The Packers have one the most dynamic players in the NFL on their team, and he hasn’t played since Oct. 13 before leaving with a fractured fibula. Of course, I’m not talking about Aaron Rodgers. I’m talking about Randall Cobb. Estimates have Cobb returning around Week 15. Rodgers is arguably the best quarterback in the league but Cobb is the most multi dimensional. Yet, I wonder why people have been pleading for the Packers to shut Rodgers down but I haven’t heard anyone say that Cobb should sit for the remainder of the season? 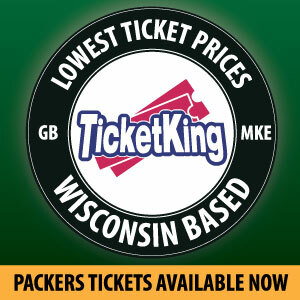 According to makeNFLplayoffs.com, the Packers have an 11.6 percent chance to make the postseason. Obviously that number doesn’t look very promising but without its top two weapons, I don’t see that number getting any higher. Through the first four games, Cobb saw 40 targets while Jordy Nelson totaled 30. Like a lot of smaller receivers like Wes Welker, Cobb is an exceptional route runner that doesn’t shy away from contact. (Of course it helps when you have a fifth gear that takes you to ludicrous speed). So, while I agree that Rodgers is the heart and soul of the Packers, don’t forget about the most deadly offensive weapon in the league. This entry was posted in Uncategorized and tagged 2013-2014 regular season. Bookmark the permalink.